The Hi-Guys were started by five Youngstown College (pre Youngstown State University) and in no time their powerful driving R&B sound and strong vocal harmonies earned them an engagement at the Youngstown's Gazebo room six nights a week. The Hi-Guys featured covers of soul hits and obscurties, covering songs by the Artistics and Radiants along with Temptations and Impressions, with a hornless combo sound and all five members singing. The band was scouted by local producer Ross Cibella who pushed them to try out for a recording deal in New York City. Armed with a dozen original songs, they met with Richard Perry at Kama Sutra and after recording several songs one night, met with Perry the next morning. That afternoon, Cibella got them an audition at CBS, where keyboard player Peter Pylypiw auditioned their material at the piano. When the CBS VP heard they were talking to Kama Sutra, he threatened them and had a deal drawn up on the spot! Six weeks later they returned to NYC and recorded few songs with Charlie Calello producing. Columbia released two of Peter's originals, "I Couldn't Care Less" and "Things are Gonna Be Different". Columbia didn't like the Hi-Guys name so they decided to use something "hipper" - so the band name was changed to the Loading Zone, but only for the 45. CBS tried some promotion for the record, including a writeup in Cashbox and some push in the Washington DC area, but airplay and sales didn't happen. In hindsight, some band members thought they should have gone with Richard Perry. The Hi-Guys continued to play the Youngstown bars and summers at Geneva Lake's clubs like the Sunken Bar and the Cove. 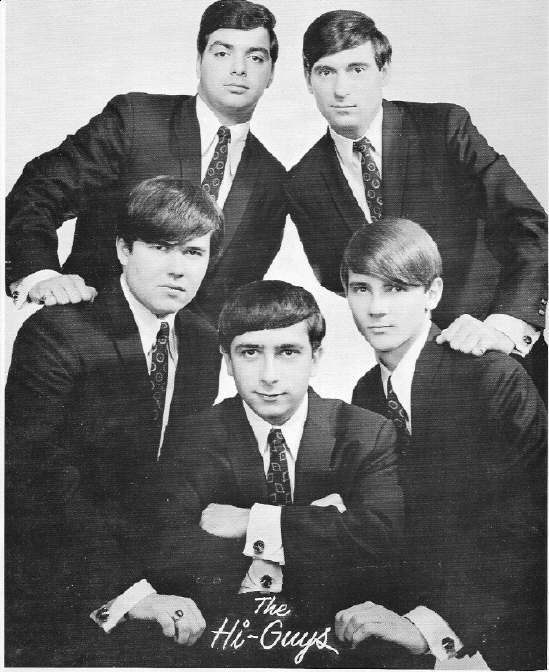 The Hi-Guys broke up in 1970. After, Peter Pylypiw played in a short-lived psychedelic band called Giraffe. Former Crosby Stills Nash and Young bassist Greg Reeves, a Warren native, asked Peter to join in a new band that he was assembling out in Los Angeles. After plotting everything out, Peter got a call from Jeff Beck to work with him on some new recordings also out in LA - so Peter spent 3 or so months in a remote studio working on a never completed project before returing to Ohio.